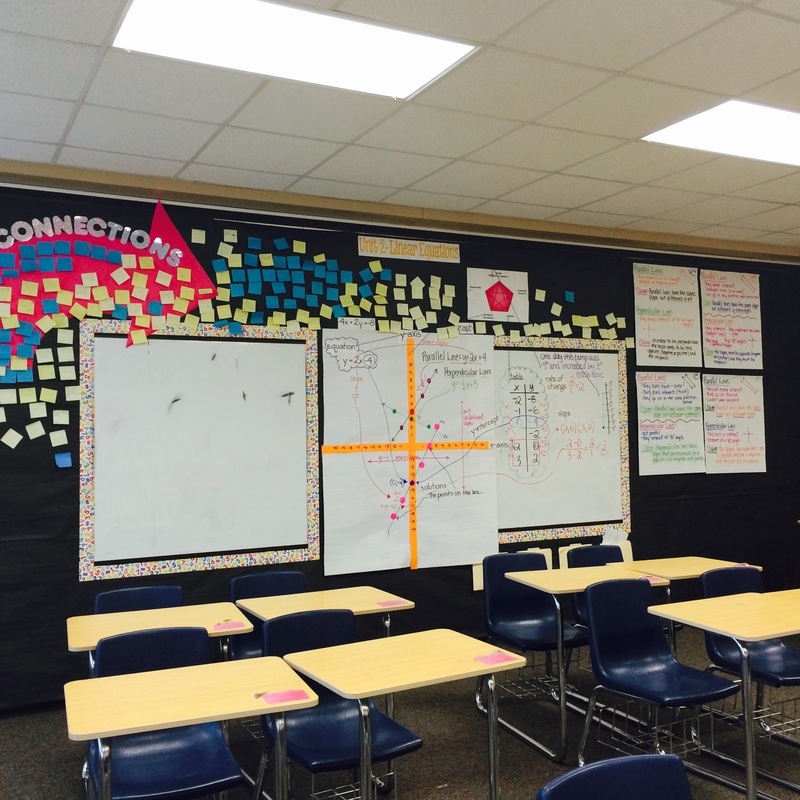 The way you present the physical space in your classroom is a representation of what you value. 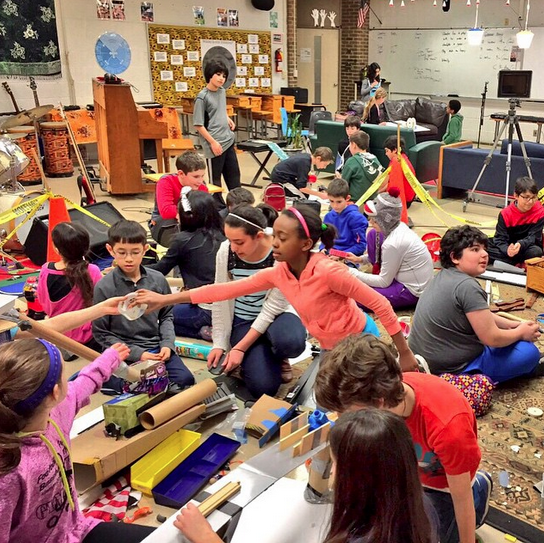 A key component to a Culture of Thinking classroom is the physical space. This is the environment where learners discuss their thinking, share ideas, debate viewpoints, and engage with other learners (Ritchhart,Church, Morrison 244). When you look at the classroom pictures below, you can see a distinct difference between the two. Classroom A has pictures from various places across the world. 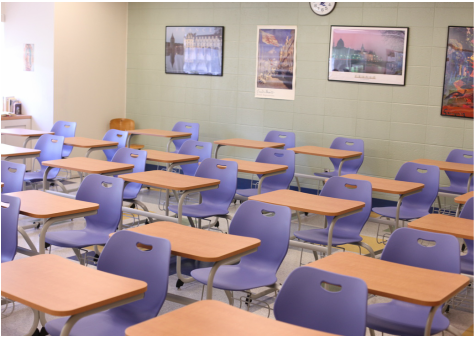 While these pictures are pretty and nice to look at, what do they say about the learning environment that takes place in the classroom? 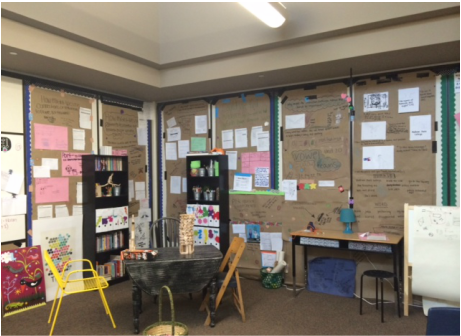 Classroom B is covered from floor to ceiling with student thinking artifacts. The environment is updated frequently and connections are made from one thinking move to another. It is obvious that thinking and the reflection of one's thinking is truly valued on a daily basis. 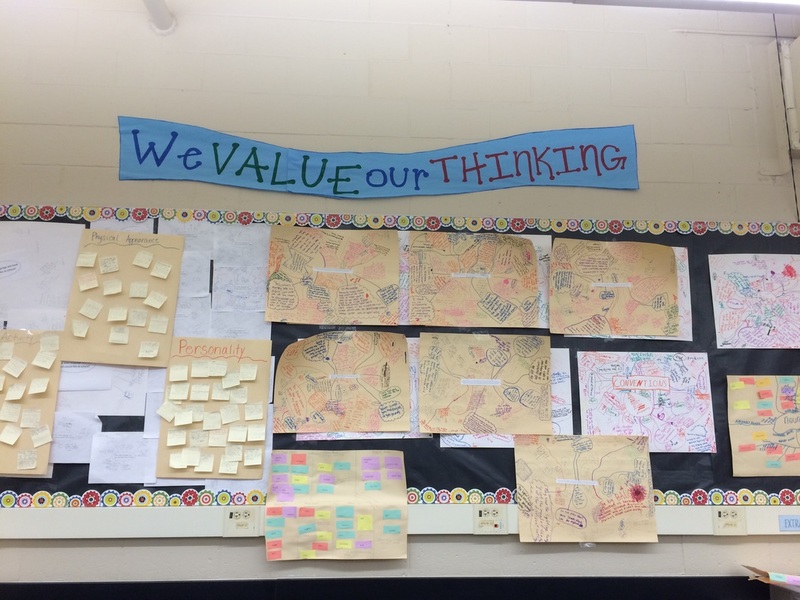 This record of thinking lets students see how their thinking has developed during the learning journey in this classroom. Another important aspect to environment is the arrangement of the physical space. Students in classroom A sit in rows of desks all facing forward. This arrangement allows for very little thoughtful interactions, and learning then becomes a single, isolated task. But in classroom B, the tables and chairs are arranged in groups that facilitate thoughtful interactions. 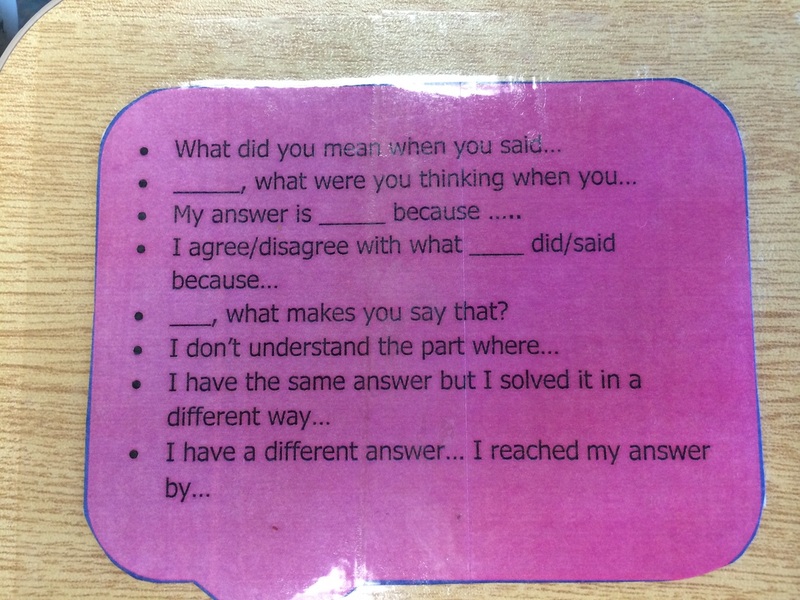 Students are able to discuss their thinking and share ideas with other learners. 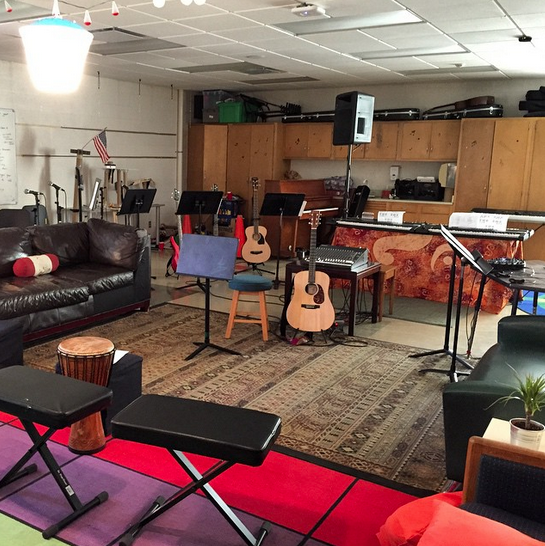 The space in your classroom is arranged to facilitate thoughtful interactions, collaborations, and discussion. The wall displays have an ongoing, inchoate, and/or dialogic nature to them versus only static display of finished work. 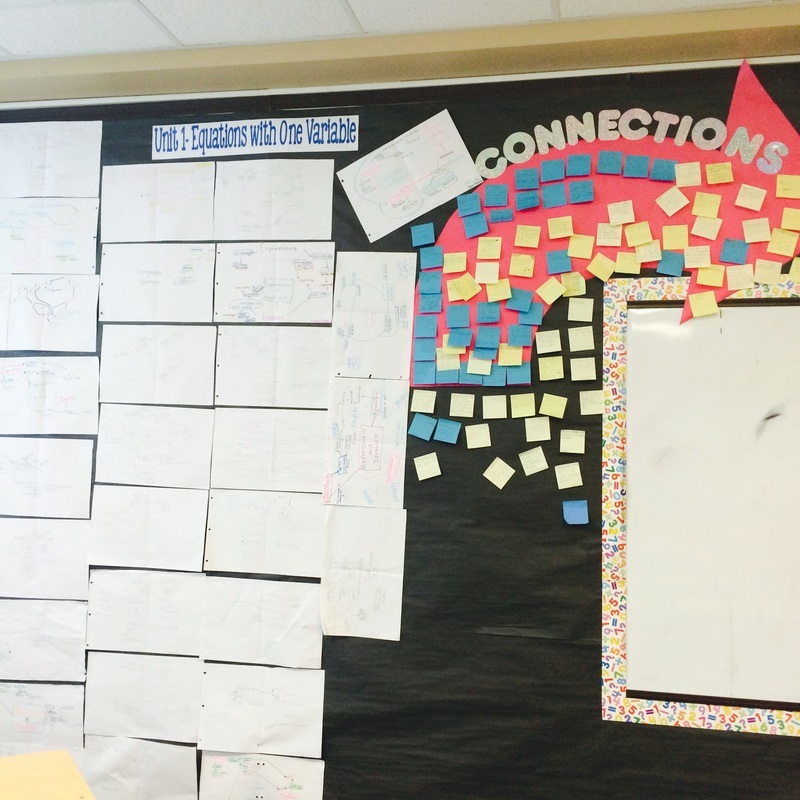 A variety of ways are used to document and capture thinking, including technology. A visitor would be able to discern what is cared about and valued when it comes to learning. 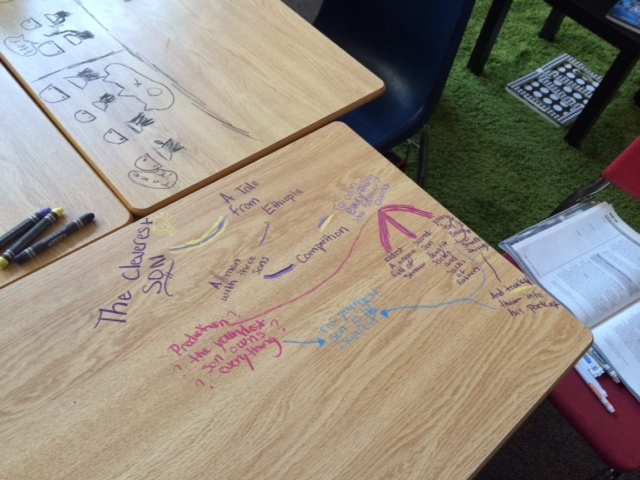 Erasable crayons are an excellent way for students to map out their thinking together. Desks are arranged in a format that enables collaboration and thoughtful interactions. 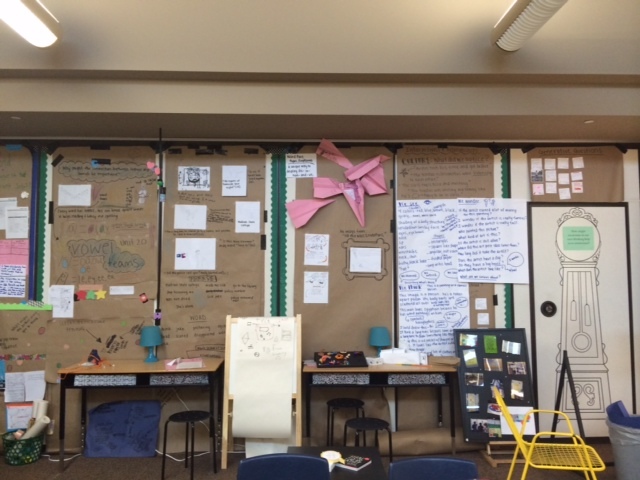 A flexible environment that supports all types of thinking.